Provide and promote the use of information, education and standardized practices for pressure ulcer assessment, management and prevention across the continuum of care. 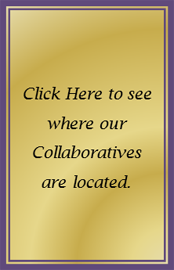 Promote collaboration and communication within and throughout the continuum of care and other key stakeholders related to pressure ulcer assessment, management and prevention. Provide strategic direction and support for pressure ulcer performance improvement. 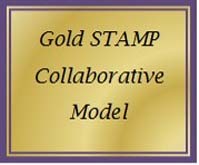 Promote and expand engagement of hospitals, nursing homes and home care agencies in Gold STAMP principles. Administrators; direct care staff including RNs, LPNs, PHNs, CWONs, MDs, PAs, NPs, nutritionists, PTs, health care educators, and hospice staff working in hospitals, nursing homes, long term care programs, home care. This project was funded through a Memorandum of Understanding with the NYS Department of Health. This toolkit has been designed to provide resources and education across the continuum of care to improve the assessment, management and prevention of pressure ulcers. 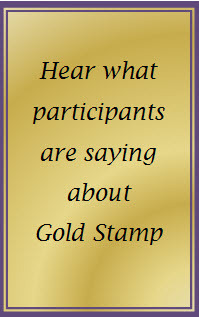 The materials below have been used by the Gold STAMP collaboratives throughout New York State. Collaboration and communication are key to reducing pressure ulcers across hospital, nursing home and home care settings. 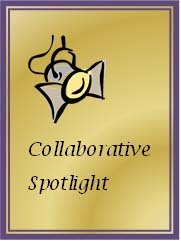 This toolkit is designed to promote regional-level collaboration and communication among health care providers and support the autonomous establishment of additional Gold STAMP Collaboratives throughout New York State. 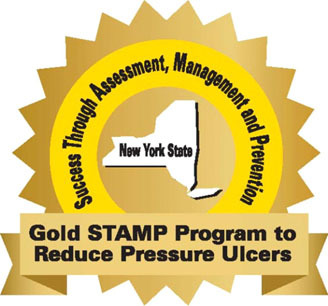 The Gold STAMP (Success Through Assessment, Management and Prevention) Program to Reduce Pressure Ulcers is a coalition of organizations convened in New York State to provide resources and education across the continuum of care to improve the assessment, management and prevention of pressure ulcers. In partnership with the Department of Health, the University at Albany School of Public Health’s Center for Public Health Continuing Education has developed this toolkit to provide you with resources and information to further engage physicians in the prevention and treatment of pressure ulcers in your facility. Physician Toolkit Evaluation/Feedback - Your feedback is important to us. All Rights Reserved. The files cannot be downloaded.